– Unless otherwise excused, practice starts with team meeting in room 335 at 2:45 (Fri @ 2:35). – Athletes that have to stay after with a teacher should bring a note to their event coach if they are late. – Athletes that compete in a Wednesday JV meet are expected to be at practice on Thursday, meeting at 2:45 in room 335. – All effort will be made for JV athletes to get at least one opportunity to compete at a varsity meet at the Reggie Lewis Center. – Last practice for JV athletes is 1/31. – Last practice for athletes whose last meet is the Bay State conference meet is 2/5. – All state meet qualifiers will continue to practice through the D2 state meet. If athletes are in Natick and don’t have previous commitments, they are expected to be at practice during the holiday. Likely practices will be during the morning of 12/26, 12/27, 12/28, & 12/31 at the high school. More information about practice dates will be available as we get closer to the holiday. If your athlete has a family commitment or other acceptable reason for not being at practice, they should inform their event coach prior to the holiday. IMPORTANT: If you are being picked-up by a parent from a weekday Reggie Lewis meet, the parent must send an e-mail to me (matthewmiller@natickps.org) stating the intention to pick-up the athlete from the meet. The e-mail should be sent no later than the morning of the dual meet or the Friday before a weekend meet. 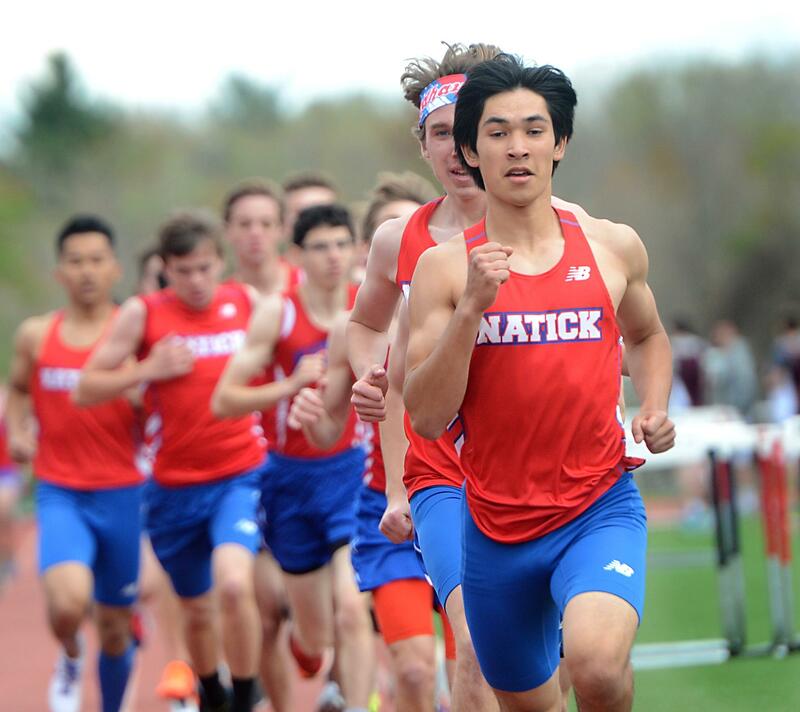 Athletes may ride with another parent, but an email giving permission should be sent to the athletic director, tcollins@natickps.org. Start times as indicated. At varsity dual meets, Boys JV mile starts 15 mins prior to the start time. LOOK AT THE BOTTOM OF THE PAGE FOR INFORMATION ABOUT INVITATIONALS. 1/4″ pyramid spikes may be used on Thursdays at the Reggie for jumps, 55 dash, and hurdles only. Spikes may also be used for oval running events during weekend invitational meets. ** Qualifying meet – Must meet state meet standards for D2 meet, or advance based on performance at D2 meet or All State Meet.